Barley, the fourth largest cereal grain produced worldwide, is an essential raw material for malting and beer production. 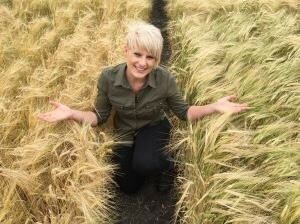 Australian barley production is dependent on environmental factors, where annual crop yields decline sharply during low rainfall seasons – a result of drought stress and the lack of drought-adapted cultivars. Drought adaptation is a complex trait, not only interacting with environment and management practices, but also with underlying physiological mechanisms that can be partitioned into many component factors. Seminal root traits (root angle and root number) is just one example of these component factors, where a narrow seminal root angle and a high number of roots in cereal crop seedlings is associated with a greater number of roots at depth (in mature plants) and increased access to nutrients stored deep in the soil profile. For instance, in sorghum, genes influencing root traits are also associated with genes influencing stay-green expression (maintenance of green stem and upper leaves during water-limiting conditions). Seminal root traits are, therefore, considered useful “proxy” traits for identification of desirable root system architecture within a breeding context. Recently a high-throughput “clear-pot” root trait phenotyping method was developed by Richard et al. (2015) to rapidly screen large populations of wheat using clear pots, imaging and open-access image analysis software. My PhD project utilises the high-throughput “clear-pot” phenotyping method to validate the use of seminal root traits as “proxy” traits in barley and identify the most beneficial root system architecture for each of the major growing regions of Australia. In addition, the phenotyping method will be used to identify novel genes influencing seminal root traits in barley by phenotyping elite breeding material and nested-association mapping (NAM) populations. The association between root angle and stay-green (as identified in sorghum) will be investigated across irrigated and dry-land field trials and the resultant grain will analysed for malt quality. This project aims to investigate the value of seminal root traits on yield and grain quality for malting and beer production. Identify QTL influencing seminal root traits (root angle and root number) in barley using elite breeding material and NAM populations. Validate seminal root traits as useful “proxy” traits in barley and promote inclusion of selection for roots traits in breeding programs. Identify the most beneficial root system architecture for adaptation to each of the major barley growing regions across Australia. Investigate the association between seminal root traits and the rate of canopy senescence post-anthesis under drought conditions in barley. Investigate the value of seminal root traits to protect barley grain quality under water-limited conditions. I have performed the first QTL mapping for seminal root traits in barley using a doubled haploid (DH) population and validated key genomic regions using an elite breeding population. The ND24260 x Flagship DH population (330 lines) and an elite breeding population (216 lines), were evaluated for seminal root angle and number using the “clear pot” method and QTL mapping performed. Yield effects associated with the major root angle QTL were investigated through gene assignment in the breeding population. Predicted values for yield were calculated for lines carrying the ‘narrow’ and ‘wide’ allele at this major root angle QTL across 20 environments spanning three years. This major QTL for root angle was detected in both populations, positioned on chromosome 5HL, where the Australian cultivar Flagship donated the allele for narrow root angle. Breeding lines carrying the ‘narrow’ allele for the 5HL QTL displayed a significant yield advantage up to 11% in 16 of 20 environments. Phenotypic selection for seminal root traits or marker-assisted selection for the 5HL QTL will likely enrich breeding populations with desirable genes for drought adaptation in the northern region of Australia. 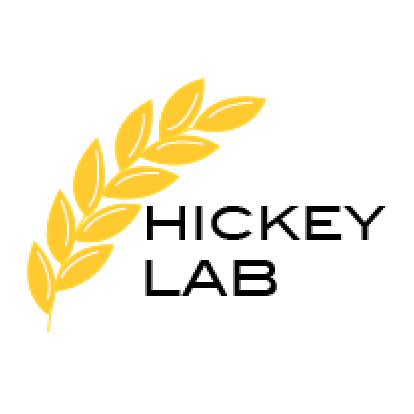 A barley nested-association mapping (NAM) population recently developed by the Hickey Lab will be studied to further investigate gene interactions and background effects. A subset of the barley NAM population along with a large doubled haploid population will be evaluated in field trials across 2015 and 2016 under rain-fed and irrigated conditions. These field trials will improve our understanding of the interaction between root traits delayed senescence, yield and grain quality, as well as identifying the genetic control of each trait. 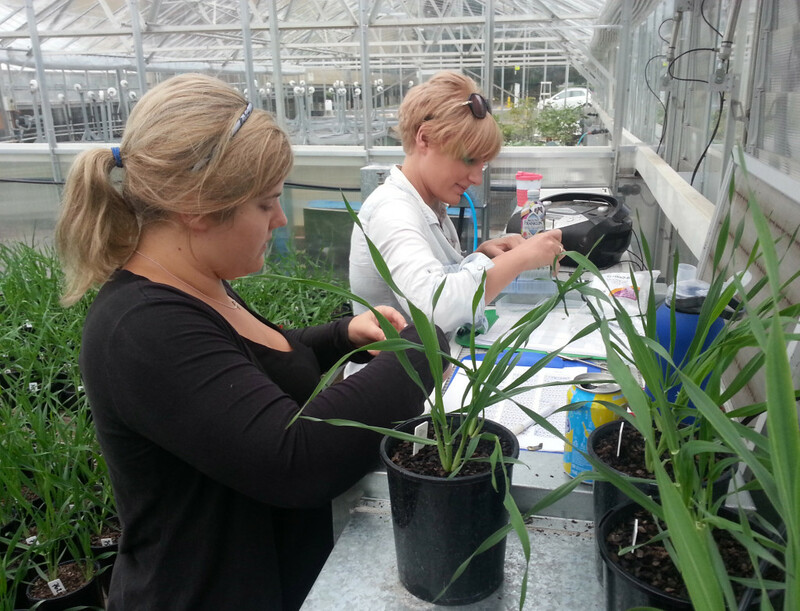 Improved understanding of these traits allow us to better design barley cultivars for northern Australia that are better adapted to harsher, dryer conditions.